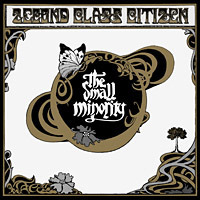 2econd Class Citizen – The Small Minority – Out Now! 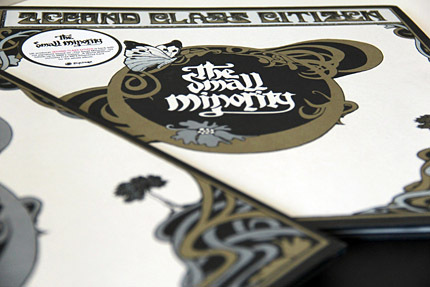 Today, we are happy to announce the release of the long-awaited second full-length by 2econd Class Citizen, entitled “The Small Minority”. This may be one of our proudest moments this year and we truely believe this album is 2econd Class Citizen at his very best. A brilliant follow up to his “A World Without” debut almost 3 years ago. We’re sure that many of you have already listened to the EP, checked out the great video by Simon Walter or downloaded the free DJ Food Megamix on Bandcamp. Some of you that have pre-ordered the album in our online shop or at hhv.de (check the limited bundle!) may already hold the album in their hands. To those that haven’t done anything of the above: check this album out! We are sure, you’ll like what you hear. The feedback so far has been quite overwhelming and we picked a few quotes that you can read below. We would appreciate your support in buying a vinyl copy, the nice digipak CD or a download. Please also help us to spread the word! Last but not least we want to thank everybody again who was involved in the creation of this album as well as the EP and Postcard Vinyl release: guest musicians, artwork, mixing and mastering, video art, promotion – more than 20 people helped to make this album reality! Thanks!